Kurt Roberts………..a Fast and Furious Accountant! As the man now currently in charge of accounts for CPL Online, Kurt Roberts has worked for the business since 2012. Having started out as an apprentice earning £95 per week at CDO Group, Kurt has risen through the ranks to become a chartered accountant, qualifying in 2015. After completing his AAT apprenticeship without failing any exams (something he likes to rub in the face of his colleagues, Liam, and Alex), Kurt has gone on to complete his ACCA qualifications. Asked what movie character or actor he closely identifies with, Kurt names the late Fast & Furious star, Paul Walker – a cinematic hero to petrol-heads across the globe. It’s not surprising that Kurt dreamt of being an F1 driver and raced go-karts week in, week out up until his late teens! During his childhood, he says he was a courageous kid and ‘massively competitive’… although he doesn’t have much support for these claims, as he jokingly admitted to barely remembering being a child. Fast-forward to 2016 and Kurt has endured 6 years of studying to get to where he is today. Now 25 years old, Kurt has recently begun managing large financial projects for CPL Online, including a costing system designed to implement a complex invoicing system. As a motivator and inspirational character, Kurt has also undertaken a mentoring role for Trainee Management Accountant, Liam Bell, and Trainee Accountant, Rob Courtney. After initially completing his AAT in 2012, Kurt almost joined a company in Skelmersdale due to lack of positions available at CDO or CPL. Thankfully, Peter Moss, Financial Director, offered Kurt the position of Management Accountancy at CPL Online, and the rest, as they say, is history. Peter Moss has been massively influential on Kurt’s career, providing the opportunity to crack on and complete his ACCA qualifications. As the final piece in the jigsaw of his accountancy education, Kurt now harbours the ambition of completing a university degree. He’s due to submit his final two projects in September 2016. Kurt is fully concentrated on providing the best service for CPL Online! 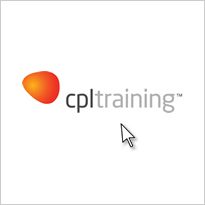 The staff blog provides an insight into the personalities working here at CPL Training Group. As the leading provider of licensed retail and hospitality training in the UK, our staff are instrumental in the successful running of the business. From sales to the licensing team, the staff blog will cover all departments and give you the opportunity to get to know the individuals working at CPL. We’re a forward-thinking and dynamic team, with unique skills and experience that makes us the leaders in the industry. We’ve always thrived working in an exciting and ever-changing environment… we hope you enjoy reading about each person’s role and uncovering some interesting facts!